I think we can all agree that food is one of the universal keys to understanding any culture, right? So what better way to get to know a new place than by eating your way around it? I mean...all you have to do is say "there will be food" and I will be there. My recent explorations brought me to the trendy Brooklyn neighborhood of Williamsburg, a place that has been calling my name for years. Williamsburg has this relaxed, home-y, but-still-city vibe that reminds me so much of Chicago. The bf and I decided combine our loves for travel and food and do a little food crawl through Williamsburg to see what it was all about. Thanks to many local recommendations, we made a list of our favorite places to eat your way through Williamsburg. We stopped at each of these places for a drink, an appetizer/small plate, or a full meal (and there's a few spots that we just stopped in to see the vibe). Check out our itinerary below for ideas on crafting your own personal food crawl! You can pick and choose from each category, or try to go to all of them! 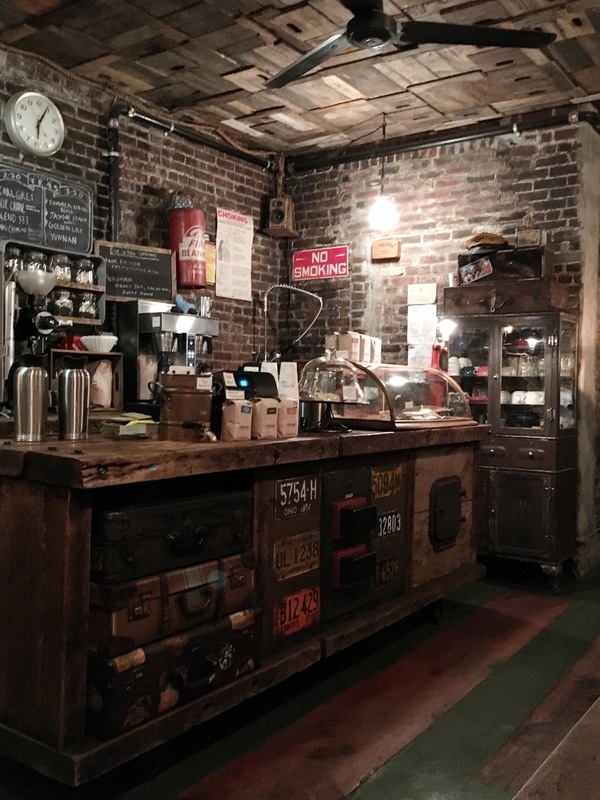 Start your morning off at Blind Barber in Williamsburg. We got a later start and headed here around 11:45am, which was right when they were about to start cooking their Grilled Cheese offerings on their menu. GO HERE FOR THIS. Literally one of the best grilled cheese sandwiches I've had in my life. It was a daily special with veggie sausage, fried egg, tomato chutney, jalapeno, sharp cheddar, and pesto...*mouth watering*. Definitely a cute spot, and you'll start to notice a trend of cafes + barber shops after this one. Cute cafe to stop in on Graham when you're walking up towards the McCarren Park. We already had a coffee at the previous spot, but would definitely come back here to grab a cup or sit near the window to work (aka people watch). After hitting up Variety Coffee, you can walk north on Graham, turn left on Driggs Ave, and then walk through McCarren Park. It is a nice spot to walk off the morning food and take in some urban nature. Once you're walking south on Driggs, you'll eventually hit N 12th St, which is where you can decide where to go next! We chose to walk all between Driggs and Kent Ave. I can't get over how much I'm obsessed with Cafe Colette. The decor, the food, the neighborhood charm, the walk up coffee stand... It's amazing! Since it was a cold winter day, we opted for having a Hot Toddy and a small plate to share. Food and drinks were both phenomenal, and we got hooked up with recommendations on other places to go from the sweet bartender! We stopped in at Bakeri after our late morning snacks for a sweet treat to have while we were walking. This adorable, little, French style bakery has lots of wonderful sweets to enjoy--and even some gluten free and health conscious choices! There was even a cute patio out back that looks like it's open when it's nicer out. Even though I wanted to stay longer, we grabbed our snacks and headed out for a walk. *This place is cash only, so bring your $$! If you walk out of Bakeri and head east towards the river down N 8th St, you're going to hit the State of New York - East River State Park, which was a lovely spot to enjoy our cookies and take in the view of Manhattan. It was a quiet Monday morning, which made for a peaceful view of the city. Definitely a nice spot to see a different view of NYC. 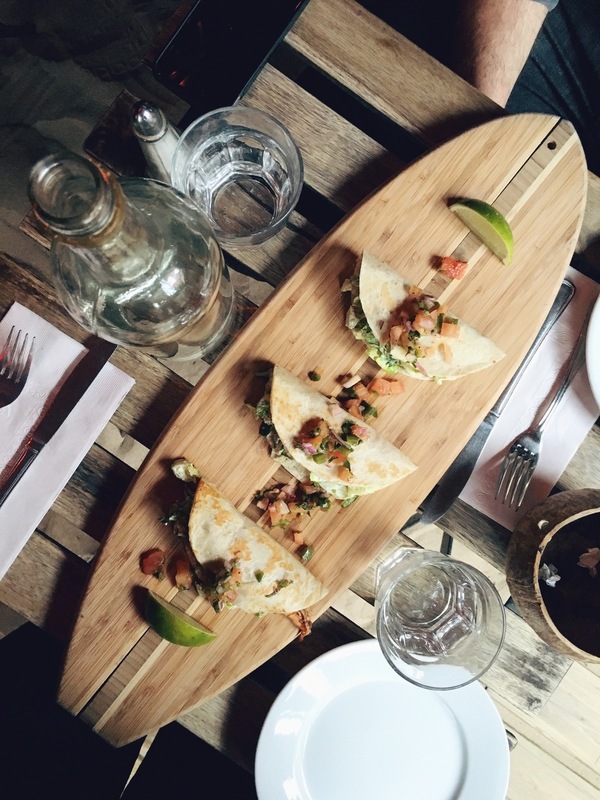 After heading to the park, go back west and walk around a little bit until you find yourself near Bedford Avenue. We spotted Surf Bar out of the corners of our eyes and immediately headed right in. When you walk into this restaurant you basically forget that you are in the middle of New York City and imagine that you're in a surfing town somewhere in California. There is literally sand on the floor! It was definitely a great place to come and cheer up the winter blues! Get the shrimp tacos and thank me later. Juliette is another spot that is sure to put you in a good mood. 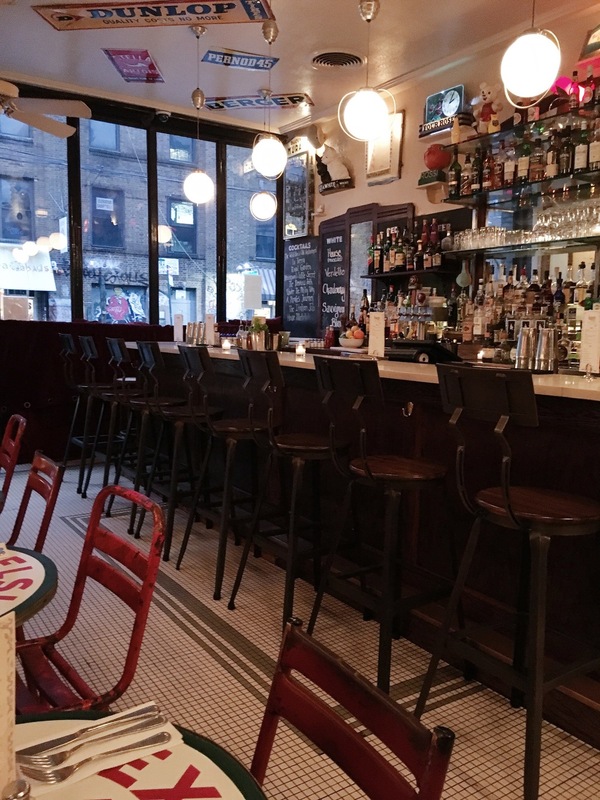 Think French brasserie meets NYC. 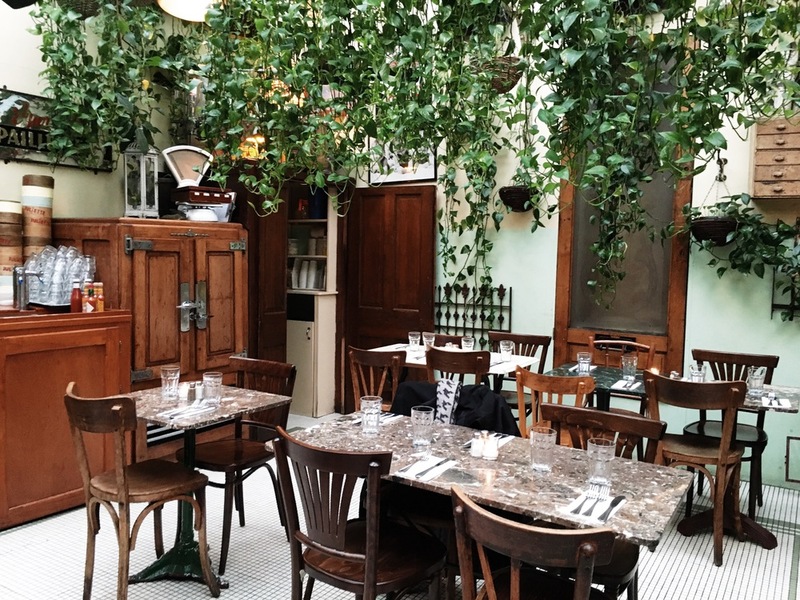 The interior decor transports you to Paris, where you'll feel like you're lost somewhere deep in the heart of Saint Germain. Lots of greenery hanging from the ceilings, a lovely bar to sit at, and even a rooftop area to enjoy when it's nice out! I just absolutely loved being here because it felt so cozy and charming. At the very least, you have to stop by this Brooklyn institution to get a picture of the facade. The Bedford Cheese Shop is a great place to grab something small to snack on and go. Tons of artisanal cheeses and charcuterie to choose from, which makes for great pre-lunch snacks. If you feel like sticking around Bedford after your early afternoon snacks, try out Allswell. It is a rustic pub with a seasonal and daily changing menu that they write up on a chalkboard. Food is tasty and ambience is cozy. If you're feeling like Mexican for lunch (maybe after you had those killer shrimp tacos at Surf Bar?! 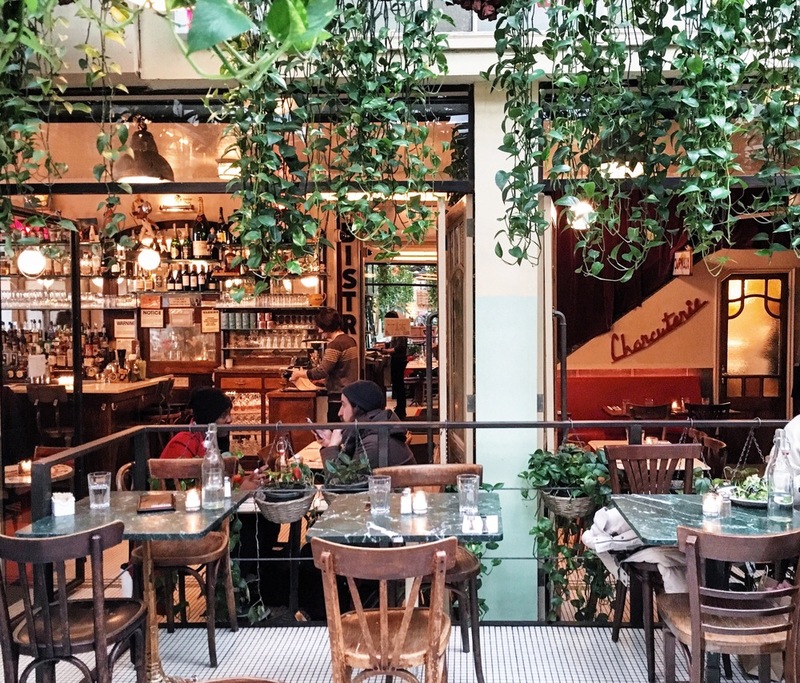 ), head to Café de la Esquina for a bite to eat in their retro diner or outdoor patio. Imagine stepping into a dive-like taqueria/diner that serves good food and portions. That's what you will get here! If you're looking to kick back with a few beers at lunch, stop in at Radegast Hall & Biergarten. 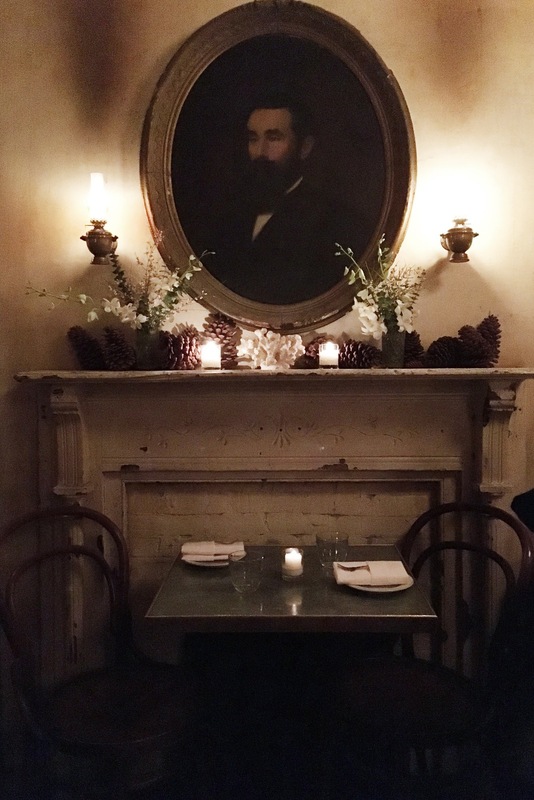 It will give you the chance to get a few blocks away from Bedford, but still have a unique Williamsburg experience. You can expect some classic and delicious German food at this authentic beergarden in the middle of Brooklyn. If you're at Radegast or Café de la Esquina (or just looking to head south for a bit), come to Sweethaus right after lunch. I'm obsessed with everything about this cute bakery from the bright colorful facade to the delicious cupcakes and sweet treats they serve. Definitely stop in here for a post-lunch dessert! From Sweethaus, head south on Berry until you're between S 6th St and Broadway. On your right hand side will be the super funky spot, Diner. 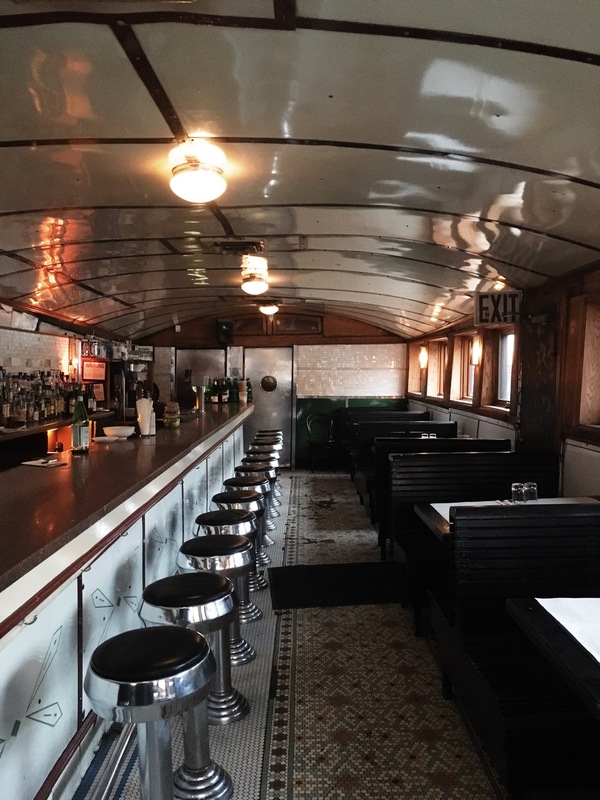 When you step in here, you'll feel like you're in an old vintage diner on a retro railcar. Grab some late afternoon snacks here if you can, or go around the corner to Marlow & Sons, which is owned by the same people. Menus are updated daily! 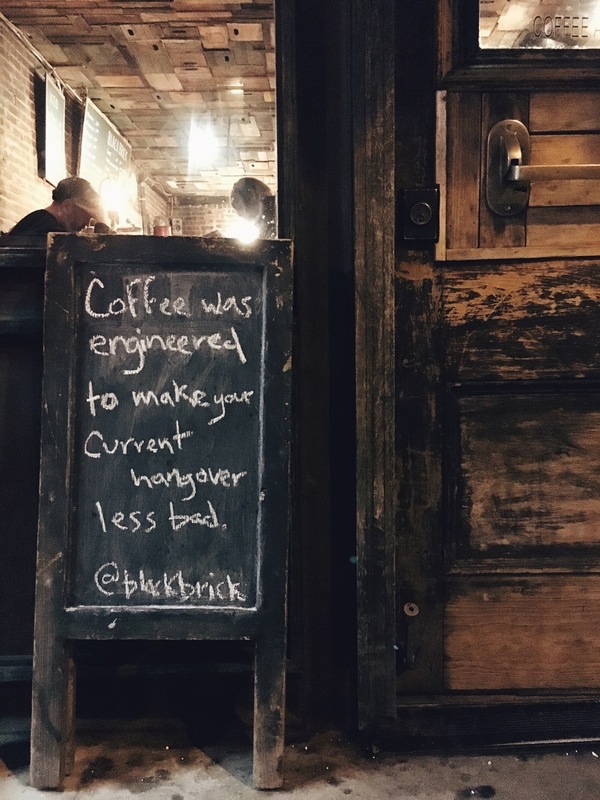 After exploring some of the "downtown" Williamsburg area near Broadway, we headed back north on Bedford up towards Black Brick Coffee. At this spot, we were able to get a little work done and grab some coffee before dinner. It was a cute local spot, and the vintage decor was darling. Great spot to come to before heading out to drinks! Finally time for some pre-dinner drinks and oh my goodness... How can I properly describe Maison Premiere (which is conveniently located next door to Black Brick)? The Great Gatsby + New Orleans + Oyster Bar + Absinthe + Secret Garden = Maison Premiere. I think that sums it up. Just go. And make sure you have one of their signature absinthe drinks while you're there. 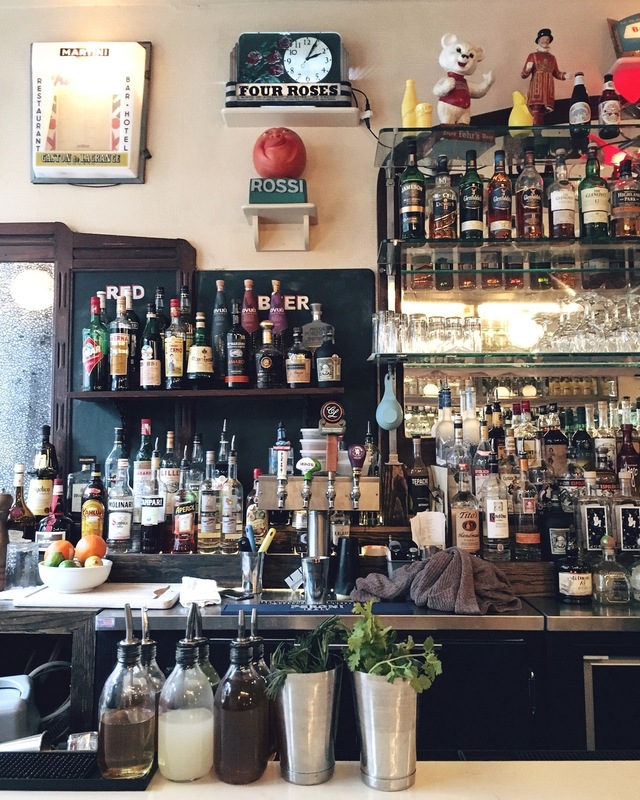 St. Mazie is another great alternative for pre-dinner drinks. 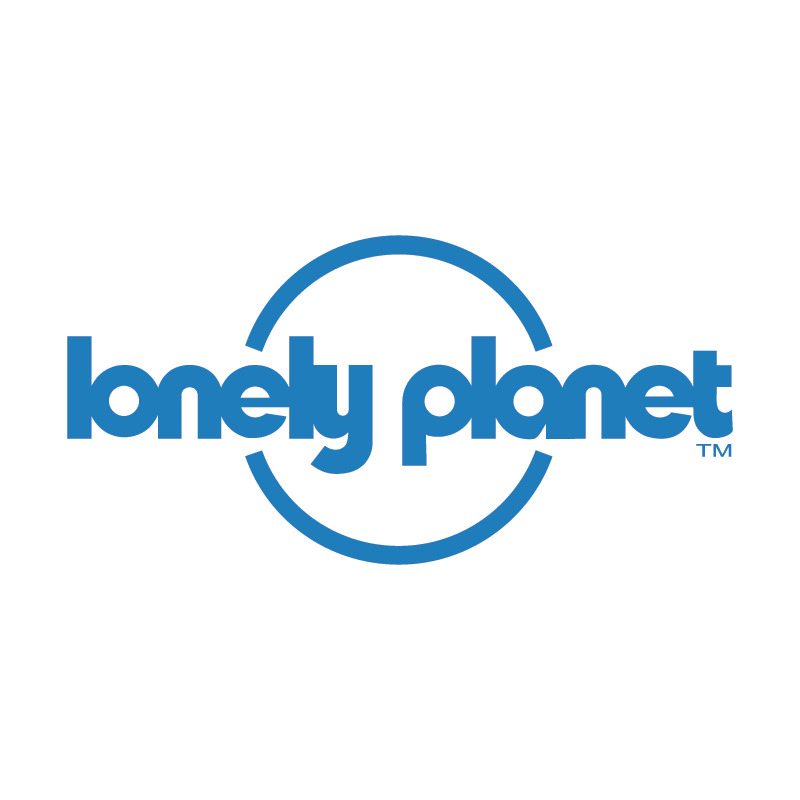 It is also located near a lot of the spots that I listed for dinner locations below; so if that's important to you, then take this place into consideration. St. Mazie is a funky cocktail bar that has live music, beautiful antique decor, amazing drinks, and a garden and basement room to enjoy other alternatives to the upstairs lounge. Once you have your pre-dinner drinks, head over to Bozu for dinner if you're feeling like having some Japanese style tapas or sushi. Decor is cute and cozy and the food is incredible. We ordered about 6 or 7 (or maybe more...that's when I lost count) small plates and spent less than $100. For those of you who know New York dining, you know that that's an incredible price for great food at a chic dinner spot. 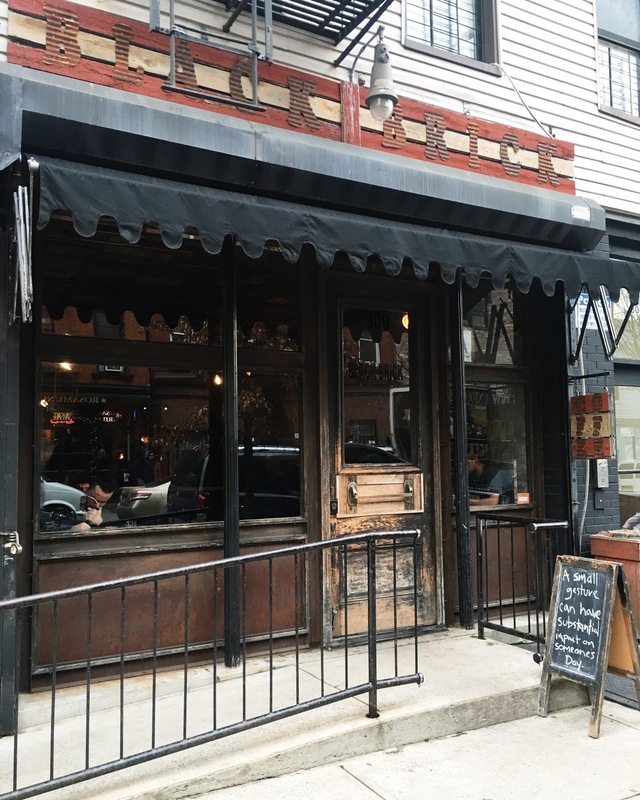 St. Anselm is one of the tastiest places to grab some steak or seafood in Brooklyn. It's located in the same area as these other spots, so come here if you're feeling like splurging a bit on a steak dinner. 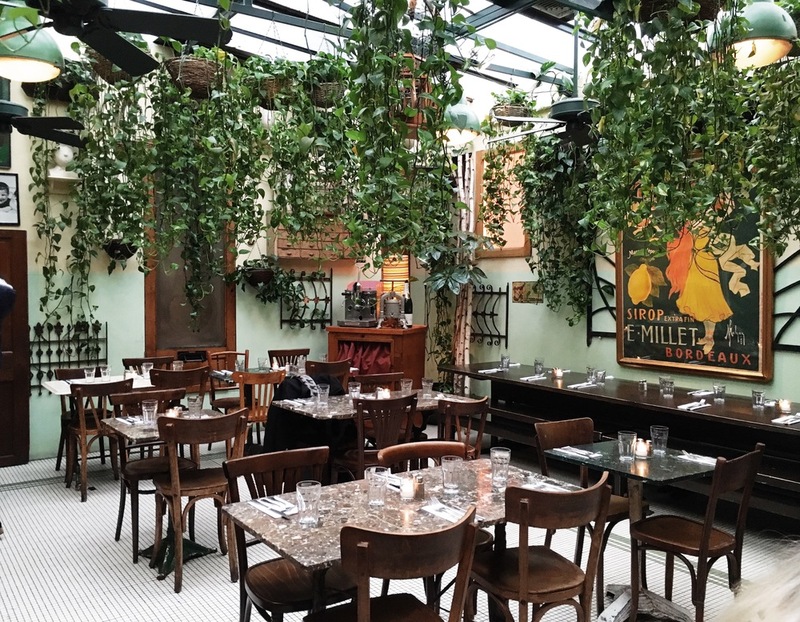 Decor is chic and rustic, and you won't be disappointed about the food. They don't take reservations, so be prepared to wait on busy nights! Caracas is a really tasty Venezuelan restaurant that offers creative renditions of the traditional arepa dish. It's a good place if you're craving Latin food and are interested in getting multiple dishes to try out their different styles. 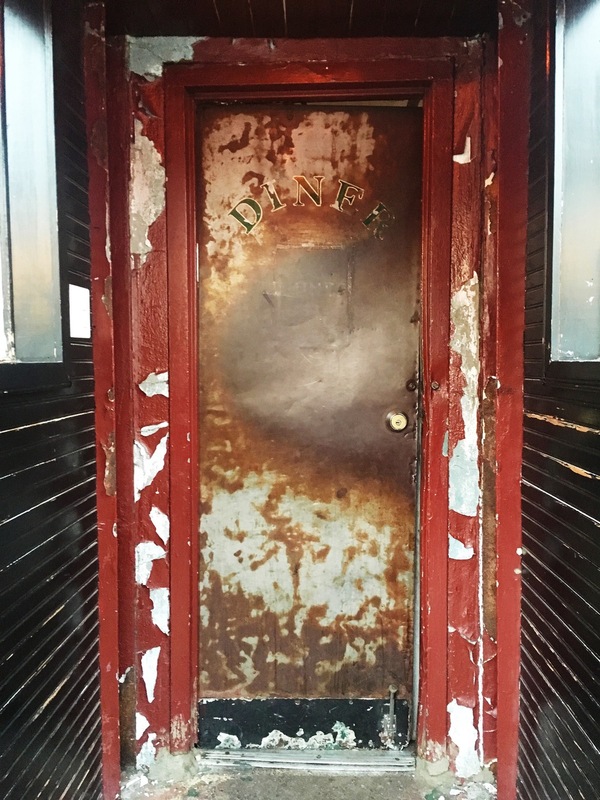 Larry Lawrence is an amazing, unassuming, and unpretentious speakeasy located right next to 2 of the dinner spots that I recommended, and around the corner from the other, making it ideal for walkability. I absolutely love Larry Lawrence as a first stop for post-dinner drinks. We came here after Bozu and wouldn't have even noticed the secret entrance if we hadn't searched for it on the internet ahead of time. The decor inside is extremely minimalist, but somehow very intimate. The cocktail list is really great too! 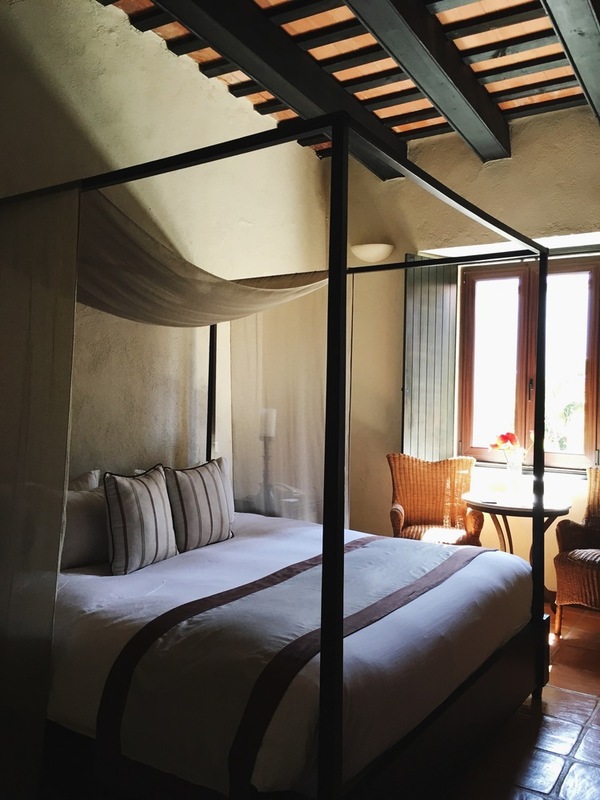 To say that we saved the best for last might be a bold statement, but I mightttt be willing to take that risk with Hotel Delmano. Regardless of that, it was fabulous to end our long day of eating and drinking at this quaint Williamsburg spot. 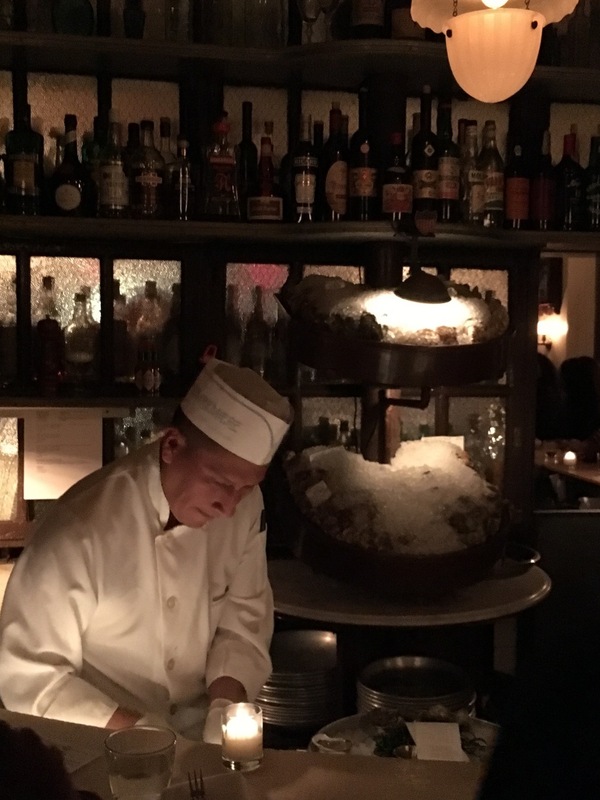 The decor is opulent and gorgeous, making you feel like you've stepped back in time into Old New York, and the cocktail list is incredible. This is a really wonderful spot if you're looking to share a romantic end to the day over some specialty cocktails. 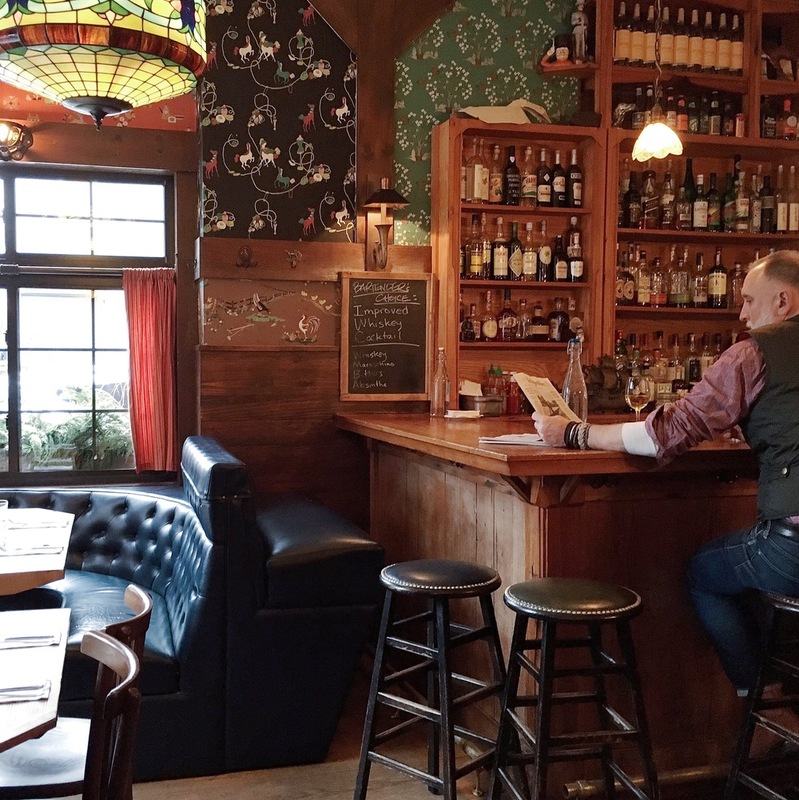 After post-dinner drinks, you'll probably be ready to head straight home after eating and drinking your way around Williamsburg. But hopefully, with this itinerary, you were able to walk around all day, become more acquainted with the neighborhood, and fill your stomach with delicious food! 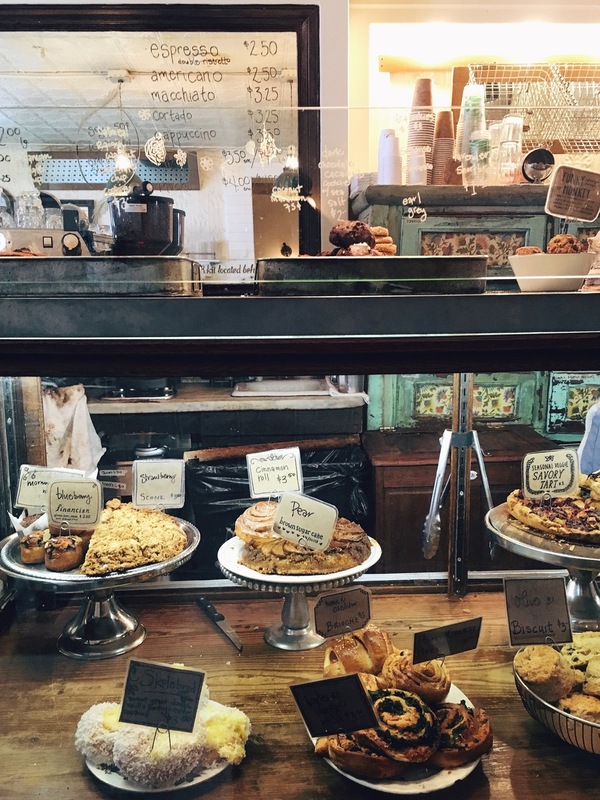 Comment below with some of your favorite spots to eat or drink in Williamsburg!